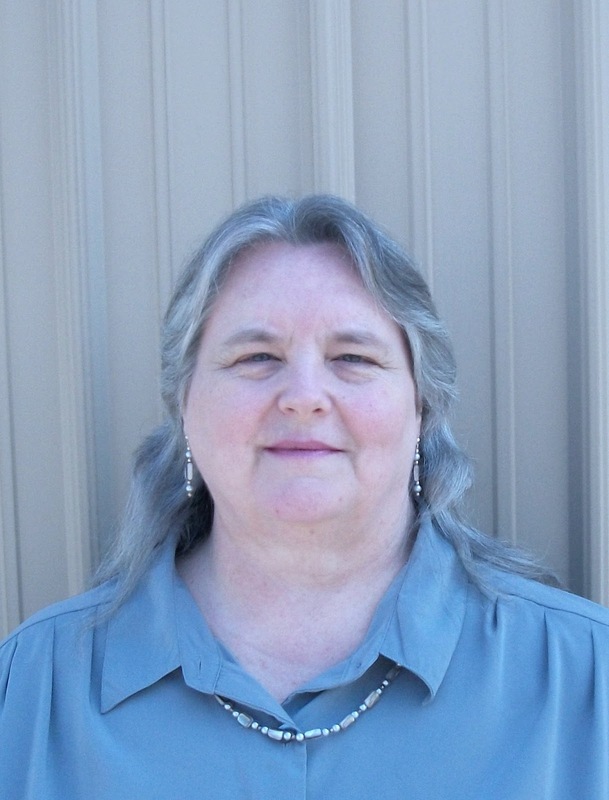 Have you ever held onto a secret you've been dying to share, and then finally...you can? For the last few weeks I've been helping Angela and Becca at Writers Helping Writers keep a BIG secret...what the next book in their thesaurus series will be. It might seem strange to not tell one's readers what book you're planning to release...unless you happen to write books on Show, Don't Tell like Angela and Becca do! They couldn't resist the opportunity to show, not tell, by waiting for the cover reveal. They even created a *REDACTED* cover for it, which you might have seen floating around. We're revealing the cover at long last! The next book in the descriptive thesaurus series is The Emotion Thesaurus Second Edition! It's been 7 years since the original Emotion Thesaurus hit the shelves. Many writers have credited this unusual book with transforming their writing. This guide is packed with helpful lists of body language, thoughts, and visceral sensations for 75 different emotions, which makes it easier for writers to convey what characters feel. Since 2012, many have asked the authors if they would add more emotions, so that's what Angela & Becca have done. 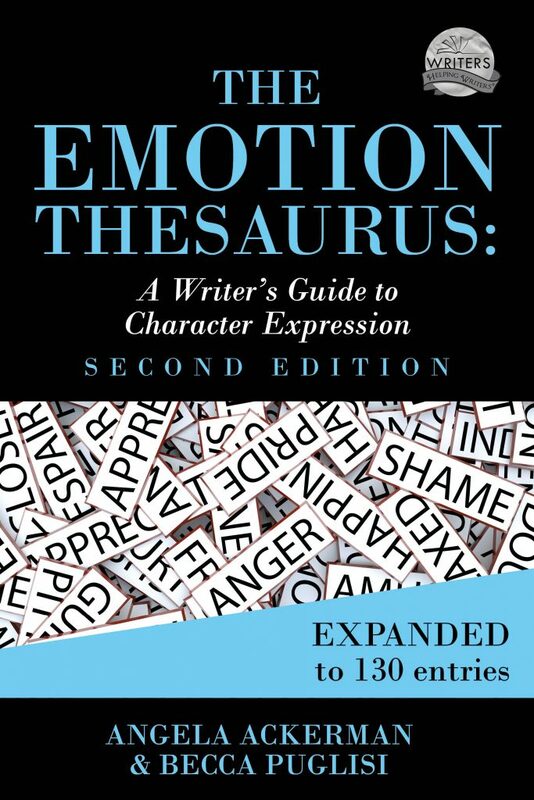 This new edition has added 55 more emotions, bringing the total to 130. There are other new additions to the book and in fact, it's almost doubled in size! I recommend checking out the full list of emotions (and some sample entries) HERE. And more good news: this book is available for preorder! You can find it on Amazon, Kobo, iBooks, and Barnes & Noble. Full Disclosure: The Amazon link is an affiliate link for the owner of this blog. If you purchase through that link, the blog owner may receive a small referral fee. If you prefer to purchase with a non-affiliate link, you are welcome to use this link instead: The Emotion Thesaurus, Expanded. The other links may contain affiliate links that will provide Angela Ackerman and Becca Puglisi a small referral fee if you use them to purchase the book. 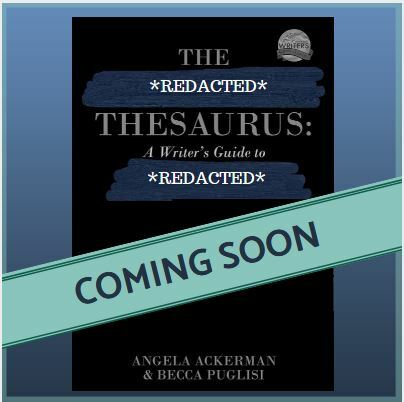 As a long-time user of Angela's and Becca's writer's thesauri (I love every book I have used), I was excited to be asked to help them launch their newly expanded book, The Emotion Thesaurus. 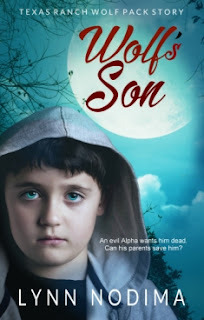 Sometimes, writers need to get out of their heads to figure out how to write action in such a way that readers can understand the underlying tension without having to spell it out for them. Angela' and Becca's books are fantastic for that purpose. If you ever need to figure out what bodily action or reaction someone in a particular situation might display, this is the book for you. I give this book my whole-hearted thumbs up!